In my quest for the ultimate gluten-free pizza, I visited Parapett, in St. Julian’s, last night. This restaurant has a nice and calming decor, the service is excellent and the food is not too bad either. I asked for a gluten-free Chicken BBQ pizza, and the kind waiter told me that it would have to be without the BBQ sauce, because that contains wheat as a thickener. Which is a REALLY good sign, because most restaurants leave the customer to try and deduce the unsafe ingredients that need to be excluded from their plate. On the plus side, the base was home made and had a nice texture, and it tasted quite nice. 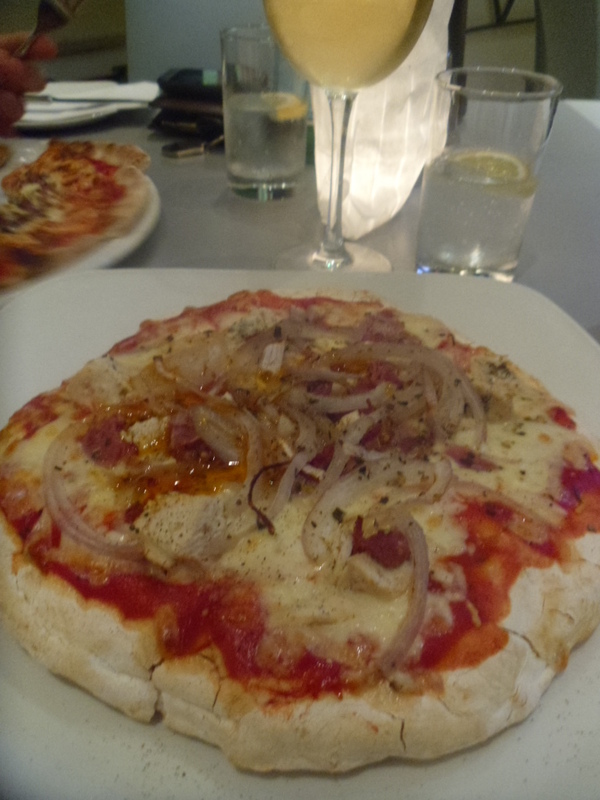 However, I would have preferred a thinner pizza, and the chicken breast was slightly dry. Overall, it was a nice experience and I would definitely visit again, but maybe not for this pizza. 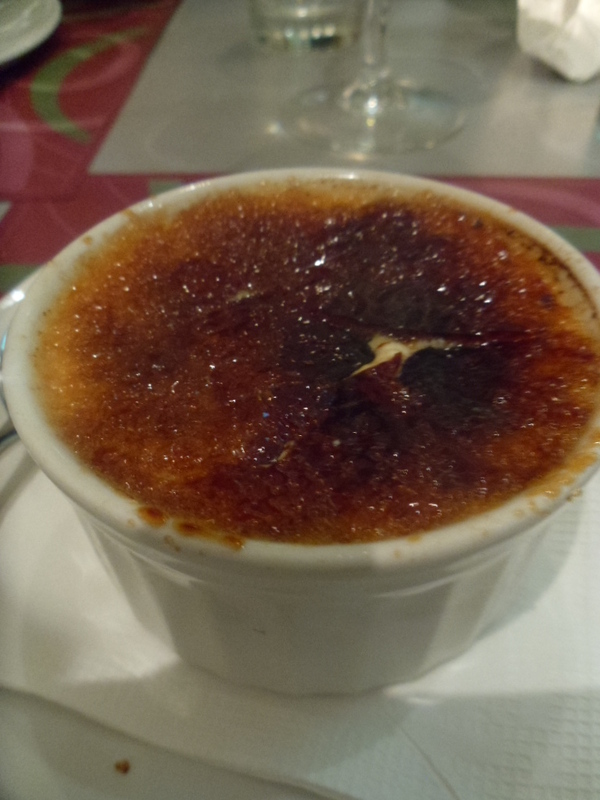 Reasons why I should go again include the fact that this restaurants’ menu includes Gluten-free Garlic Bread, and a variety of GF desserts, including this attractive and delicious Bailey’s creme brulee. I think what won me over about this restaurant is that the members of staff are so allergen conscious, and that there’s such a good variety for gluten-free customers. This restaurant is also ideal for clumsy people who like to inadvertently pour creme brulee all over their clothes. As soon as this little accident happened, the waiter ran towards our table brandishing some spray, sprayed some of it onto my dress and told me to wait until it dries out and turns into a powder. Then, I was provided with a brush to brush the powder off my dress. So if you’re an insanely clumsy person who can’t have gluten, this is the restaurant for you.